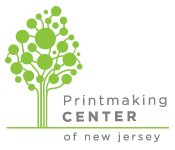 Frontline Arts, formerly known as the Printmaking Center of New Jersey, is pleased to announce our 44th Annual Juried Members' Exhibition! Twenty-seven artist-members are represented in this year's show, selected through a blind jury process performed by Ahni Kruger. The United States entered World War I in April of 1917. Called at the time the Great War, or the War to End All Wars, World War I did nothing so much as provide a template for killing on an industrial scale, mindless nationalism, and suppression of dissent. Selected artworks examine that Century--1917 - 2017--and its continuing impacts, whether political, martial, social, or environmental. 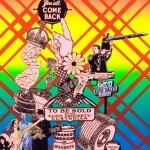 Co-curated by Walt Nygard and Dennis Murray. This exhibit features works by mixed media installation artist Anne Dushanko Dobek, and uses the image of the Monarch butterfly to reference the global plight of refugees, migrants, and immigrants. Dobek is the recent recipient of PCNJ’s biennial Erena Rae Award for Art and Social Justice. Curated by Dave DiMarchi, this exhibit explores the meaning of “home”. Featuring traditional printed works, fiber arts and sculpture by artists, Grant Benoit, Josh Dannin, Myles Calvert, Hannah March Sanders and Blake Sanders. 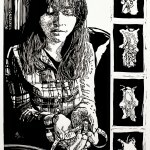 an art exhibit of works on paper showcases 34 works of 27 artists currently enrolled in printmaking programs on the collegiate level in the Northeast Region of the US. Juried by Eileen Foti, who has been the Visiting Master Printer at PCNJ and who currently teaches at the William Paterson University. an art exhibit of prints, paper and photography in celebration of Black History Month. 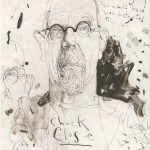 The exhibit is a collaborative effort between PCNJ and Steve McKenzie of the Newark Print Shop. Left: “Fatman/Little Girl”, Ramiro Rodriguez, 2015. Center: “Nave Espacial Maya del 2012”, Juan de Dios Mora, 2011. Right: “Saint Toribio / Santo Pollero”, Carlos Barberena, 2011. Exhibition & reception, Friday, June 15, 2012. 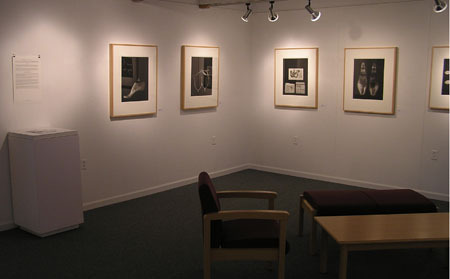 Prints produced by the four artists who have created collaborative editions at PCNJ this year. The participating artists are: Ibrahim Ahmed, Joe Ciardiello, Diana Gonzalez Gandolfi and Joe Waks. 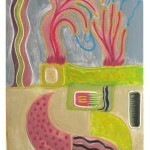 Participating Master Printers are Jase Clark, Sheila Goloborotko, Eileen Foti and Randy Hemminghaus. 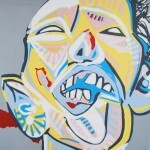 The exhibition features their collaborative prints, as well as other work. Left to right: Buy Now! .today!, serigraph by Joe Waks; This Is Only A Test, photo etching by Joe Ciardiello; Vagaries of Chance by Diana Gonzalez Gandolfi, collagraph, litho, and hand coloring; and Body #1, serigraph by Ibrahim Ahmed. Featuring prints by four artists: Shelley Thorstensen, Dan Welden, Marco Luccio and Debra Luccio. Pictured: Antarctic Thirst (2008), Solarplate print by Dan Welden. In our Main Gallery, Memory: Call and Response is a photography exhibition featuring works by three New Jersey artists Terry Boddie, Lorena LaGrassa and Carol Rosen. Terry Boddie’s work, “Ferry”, is pictured at left. The Library Gallery will feature “In a Land Far Away (Which Is Often to Blame): Recent works by Caroline Garcia Ziegler”. 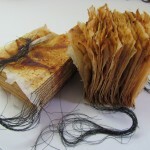 She was the 2010 Artists-in-Residence at the Printmaking Center of New Jersey, where she completed the current body of work. A detail of “Of Love and Legumes” is pictured. Guest Juror & Environmental Pioneer Candace McKee Ashmun. This unique exhibition brings together the arts and the environment through a partnership with the Association of NJ Environmental Commissions (ANJEC). 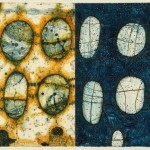 Pictured below: Agua, a collagraph by Nadia M. Martinez. Artist Sally Spofford, the juror for this exhibition, feels that our culture seems cut off from its past without myths or heroes. Her fascination with history and other cultures has taken her on a search for beginnings, essences, and links to contemporary culture. MYTHS & MARKS features works that respond to these ideas and universal questions such as, who are we and how did we get here? Come and see where our members have been this past year. Featured artists: Anne Dushanko Dobek, Yashua Klos, Jonas Kulikauskas, Maria Lupo, Kathryn Maxwell, Szilvia Revesz, Bobby Rosenstock, Bill Rybak, Erin Sweeney, Keren Zaltz. features works by five acclaimed printmakers whose passion for complex social, economic, political, and environmental issues spills over into their art. Doris Nogueira-Rogers, and Erik Ruin. December 12, 2009 through February 20, 2010. 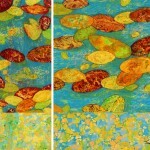 Participating artists: Seth Apter, Aileen Bassis, Barbara Brewton, R.D. Burton, Lynne Buschman, Mary-Ellen Campbell, Pat Cudd, Pat Feeney Murrell, Marleen Grabowsky, Janet Hautau, Shellie Jacobson, Randy Keenan, Lynn Keffer, Eryn Lewis, Debra Livingston, Karen McDermott, Chuck Miley, Arlene Gale Milgram, Kenneth Schnall, Leokadia Stanik, Jean Stufflebeem, Judy Tobie, Susan Walkley Topper, Cynthia Weiss. PCNJ is proud to present “What Does It Mean To Be Human?” as the American half of an international traveling print exhibition exchange with printmakers from Johannesburg, South Africa.